Summary: cClock (pronounced "see-clock") is a screen saver that run on Nokia phone S60 3rd edition. 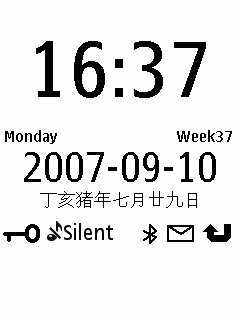 cClock (pronounced "see-clock") is a screen saver that run on Nokia phone S60 3rd edition. Please power on/off your phone if you reinstall cClock in order to activate new version of cClock. Anyone managed to get this working on an N81 8GB? The Best and Useful Screen Saver I ever Had. Works with Nokia 6120 Classic and N73 Music edition without any problems. Thanks a lot. 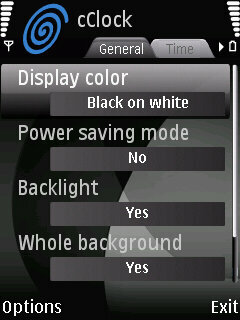 anyone who knows how to activate it on a samsung i550, I don't have the option theme-powersave. the display cannot be accomodated in nokia E51 especially when you activate the seconds in clock. also all the other items are not displayed completely. any remedy for this?? thanks.